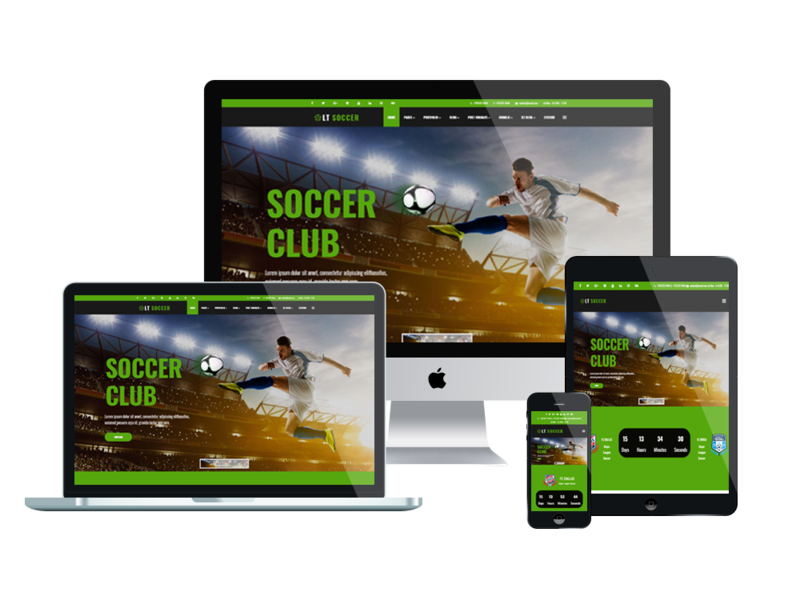 Set up a Sport website with energetic and modern design with the amazing WordPress Football theme! 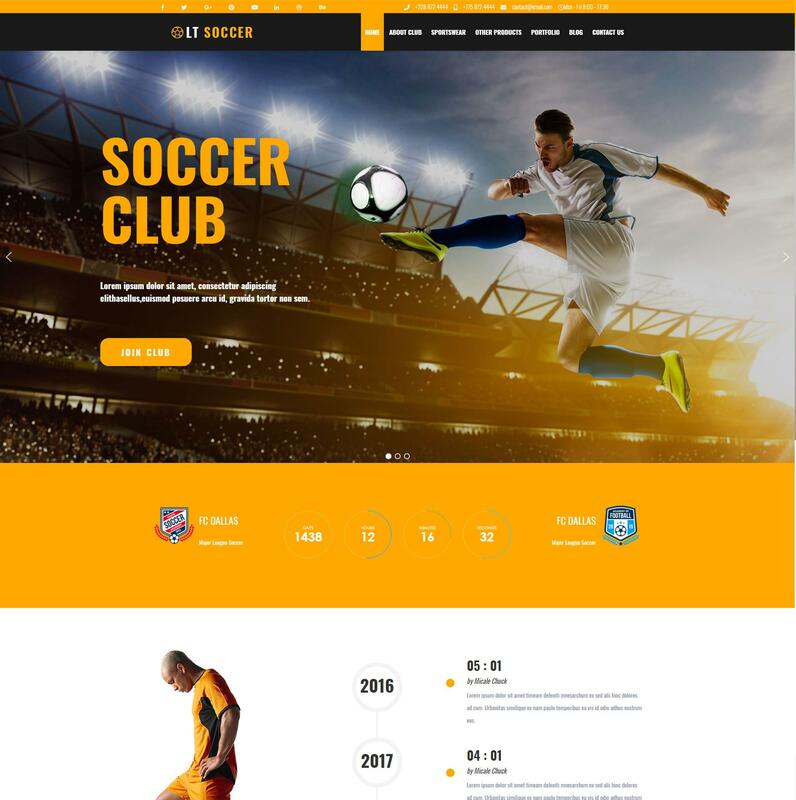 LT Soccer is a dynamic WordPress Football theme that is suitable for creating attractive sports websites, especially for football clubs, football online stores as well as any other sports stores. Appearing in the modern and professional design, LT Soccer will not make you disappointed with its performance. It provides you with 4 preset colors, and you can choose any color you want from color switcher to make your site unique. 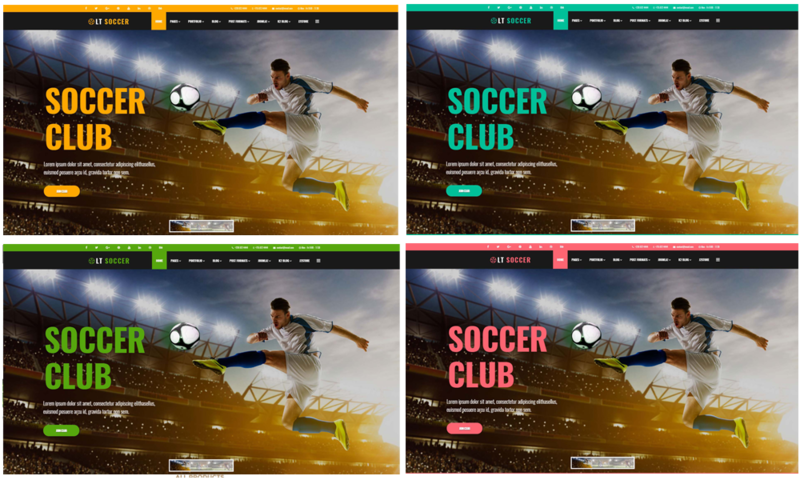 Based on powerful Genesis framework, LT Soccer shows a great and fully responsive layout on any mobile devices, with perfect content organization. Besides, this theme also supports Woocommerce, so you can manage all selling activities on your site conveniently. Our WordPress Football theme will be an ideal choice, don’t miss it!